Instrument-assisted soft tissue release (IASTR) may be used in your back pain treatment in Franklin, Wisconsin. However, you may not know what this therapy is or why it may be used in your back therapy plan. Our team at Franklin Rehabilitation is here to help you discover exactly why instrument-assisted soft tissue release may be used in your treatment plan with us. Franklin Rehabilitation provides high-quality physical therapy to the residents of Franklin, Wisconsin. In fact, we have two independently-owned clinics in the area. Our independently-owned clinics offer a superior level of customer service. For instance, we’ll always treat your back issues in ways that provide the greatest benefit for you. We’re also ready to listen to your concerns and answer any questions you have about your therapy. It’s this commitment to our patients that’s behind our desire to help you understand why we may use instrument-assisted soft tissue release in your back pain treatment in Franklin, Wisconsin. Instrument-assisted soft tissue release is a therapy method that’s often included in Franklin Rehabilitation back pain treatments in Franklin, Wisconsin. However, our team knows that you may have many questions about this method. For one thing, you may not know what it is. You may also have no idea why we’d include it in your back treatments. Instrument-assisted soft tissue release is a technique we often use for back pain. This therapy method’s purpose is to manipulate your muscles, tendons, ligaments, skin and other soft tissues to break down scar tissue. Our team knows that scar tissue can develop any time you injure your soft tissues. Using stainless steel tools, we’ll encourage your body to break down this scar tissue, which may have several benefits for you and your back. The benefits that instrument-assisted soft tissue release offers is the reason we may include it in your back treatments. One thing that scar tissue does is limit the mobility of your soft tissues. 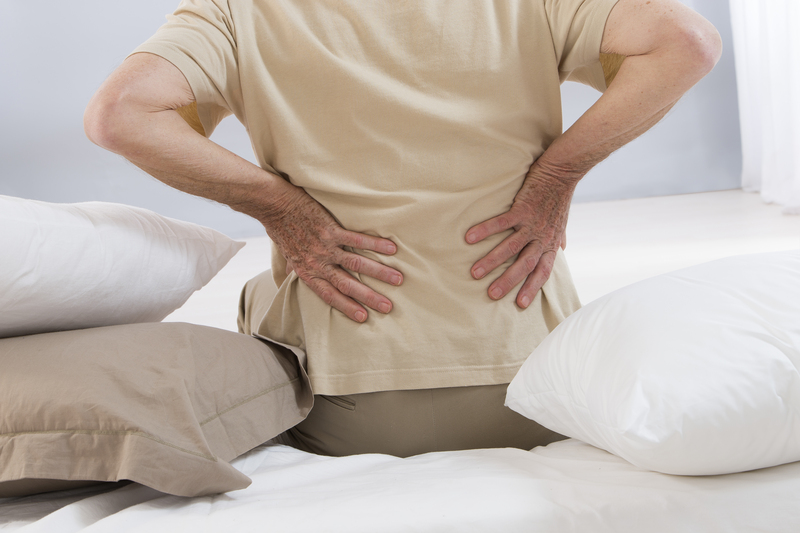 This limited mobility can, in turn, cause tension and pain in your back. The limited mobility, tension and pain is what may be reduced with our instrument-assisted soft tissue release. We may even be able to shorten your healing time using this therapy method. We hope we’ve helped you understand what instrument-assisted soft tissue release is. We also hope you now know why we may use it in your treatment plan. However, the Franklin Rehabilitation team is ready to help you treat your back pain in other ways, too. If you’re ready to find out all the other ways our team may be able to help you with back pain treatment in Franklin, Wisconsin, there’s a simple solution.